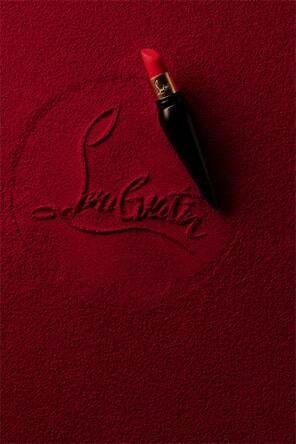 Christian Louboutin is known the world over as an artist and craftsman with a true passion for shoes. And Christian Louboutin also understands the bold, transformative power of a stroke of red lipstick and nail color. After all, a chance encounter with red nail polish in 1992 is what inspired the creator’s now iconic red-lacquered soles, and ultimately began his journey into beauty. 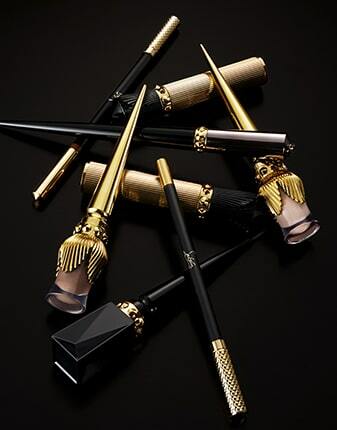 Established in 2012, Christian Louboutin Beauté (CLB) presents bold and empowering collections for lips, nails and eyes, as well as fragrances. The inclusive range reflects the same playful wit, passion and innovation that runs through Christian Louboutin’s prolific collection of women’s and men’s shoes, handbags and small leather goods. EXQUISITE CRAFTMANSHIP AND ELECTRIC COLORS. 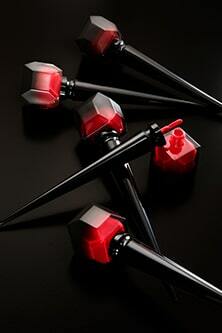 Christian Louboutin Beauté offers a line of nail polishes (naturally), starring his signature red, Rouge Louboutin. The lacquers met with remarkable success: devotees were thrilled to flaunt a manicure in a hue that matched those prized red soles. The brand soon followed up with lipsticks and lip glosses. Eye makeup completes the line. Christian Louboutin Beauté is all about bold, electric color. Product design also reflects Louboutin’s audacious aesthetic with a unique “objet d’art” approach. Nail polish bottles and caps modeled on sky-high stilettos; eyeliner brushes as fine as precious calligraphy tools; lip colors sheathed in sculpted vessels that double as jewels; and mascaras presented in ornately carved metal cases. In March 2018 Puig and Christian Louboutin announced a long-term licensing agreement under the Christian Louboutin brand for the design, development and distribution of the label’s beauty ranges. Puig and Christian Louboutin share a vision for moving forward in a genuinely collaborative manner, with the designer maintaining hands-on, personal involvement in the process of creating “beauty like no other.” Partnering with Puig, Christian Louboutin has many an exciting (dare we say “red hot”?) story ready to release, in 2019, 2020 and beyond. Christian Louboutin is all about Parisian extravagance, exquisite craftmanship and electric colors.